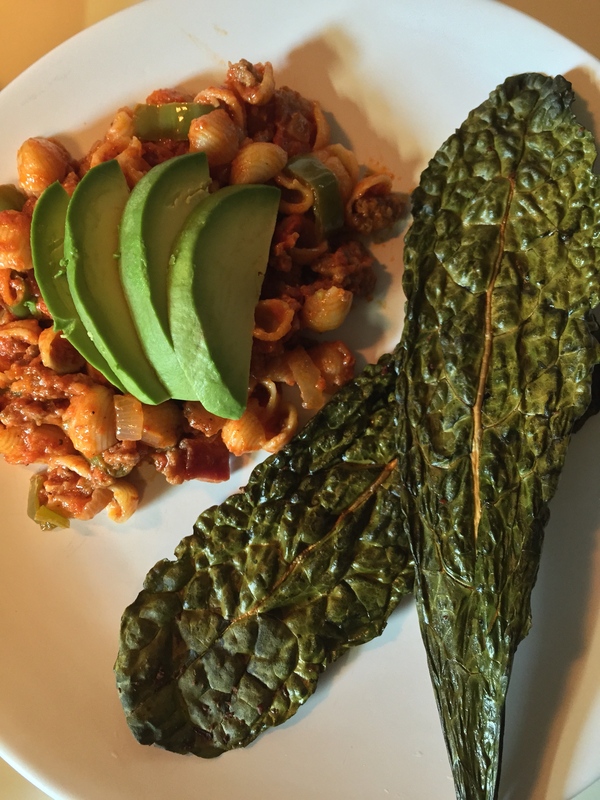 I love kale and I want you to find ways to love it, too, because it’s just so good for you. Maybe you already throw it in smoothies and salads and eat kale chips? These kale chips are a little different and make a great presentation! I washed, dried, and broke off the ends of a large bunch of Italian Kale. I covered my pan with foil because sometimes easy cleanup is worth it. 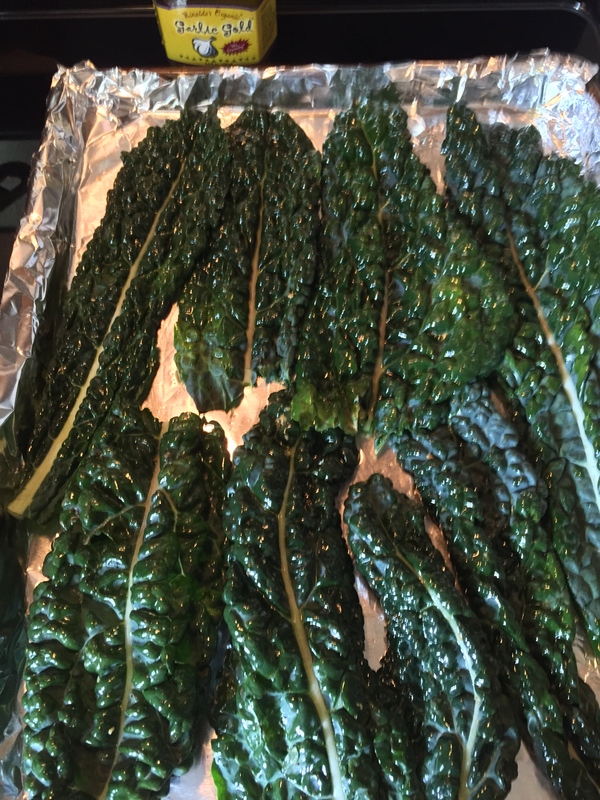 I poured out 1 1/2 TBSP Garlic Gold Toasted Garlic in Oil and rubbed this onto both sides of each Italian Kale leaf. I laid them out side by side on the pan. Leftovers (but you probably won’t have any!) can be kept in a Ziplock bag. Don’t they look crispy and colorful all plated up?